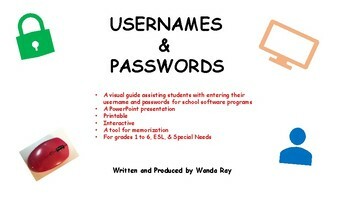 Usernames & Passwords is a visual guide that will help teachers assist students with entering their usernames and passwords to access school educational and academic software programs. 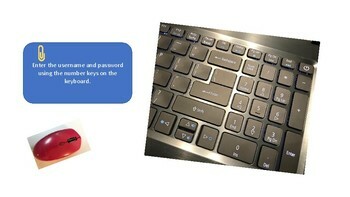 It is interactive, printable, and a PowerPoint presentation. 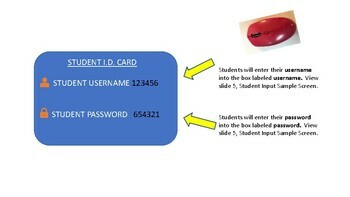 This can also be used as a tool for memorization. 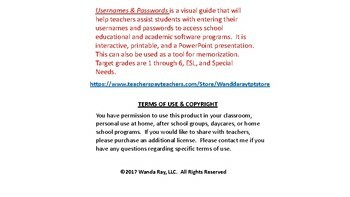 Target grades are 1 through 6, ESL, and Special Needs.